Just in time for the Holidays comes an important reminder that it’s the things you love that will kill you the fastest! Following a successful theatrical run this past fall, Await Further Instructions is set to arrive to Blu-ray and DVD on Tuesday, December 11, 2018, thanks to Dark Sky Films. British lad Nick Milgram (Sam Gittins: EastEnders series, Obey 2018) arrives home for the Holidays with his beautiful girlfriend Annji (Neerja Naik: London’s Finest 2014, Sold 2016). Unfortunately, despite mom Beth (Abigail Cruttenden: Sharpe’s Waterloo TV movie 1997, The Theory of Everything 2014) putting on her best ‘shiny happy people’ routine, the remainder of the family are not so welcoming to the young couple. 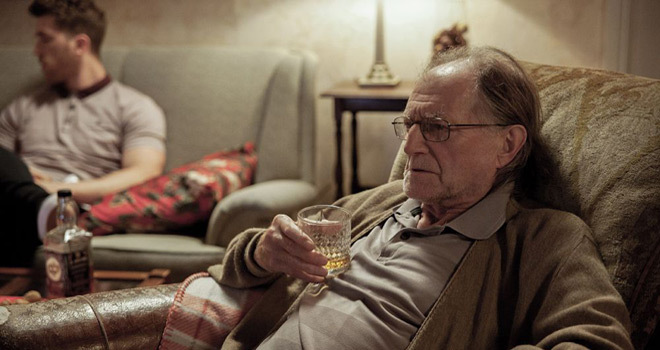 Dad Tony (Grant Masters: Silent Witness series, Fossil 2014) is an arrogant ex-serviceman who is bitter toward his son, while grandpa (David Bradley: Harry Potter and the Sorcerer’s Stone 2001, The World’s End 2013) is a blatant racist who blames all the country’s ills on the influx of immigrants. To cap off the jolly good times, Nick’s pregnant sister Kate (Holly Weston: The Danish Girl 2015, The Collection series), not the brightest bulb on the tree, arrives with her husband Scott (Kris Saddler: Painkiller 2011, The Hour series), who will literally do anything anyone tells him to do. With Tony as the de facto leader of the majority, the family decide to carry on with their good old-fashioned family Christmas. That is, until the turkey is nearly carved, and the TV flashes a new message to the Milgrams. With the situation quickly devolving and the house’s inhabitants turning against one another, blood will be spilled beneath the mistletoe long before any answers can arise. 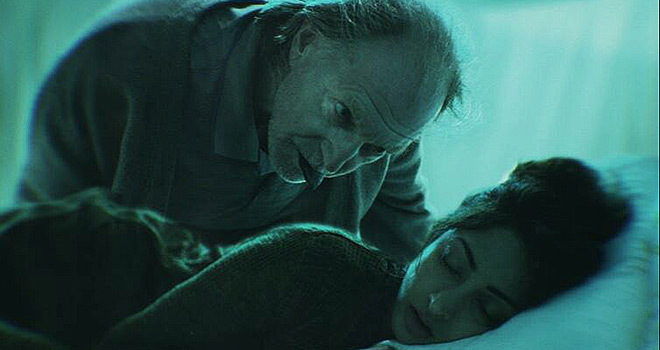 Clocking in at 91 minutes in-length, Await Further Instructions was directed by Johnny Kevorkian (Fractured short 2007, The Disappeared 2008) and written by Gavin Williams (Sleepworking short 2013, Click/Wheel short 2017). Students of social psychology will recognize the family’s surname immediately, and that plays a key importance herein: Await Further Instructions reads like Stanley Milgram’s 1961 social psychology experiments at Yale University turned into a Sci-Fi/Thriller and told in the style of Stephen King (2009’s Under the Dome, 2006’s Cell, and 1980’s The Mist all come specifically to mind). This is a multi-layered tale that tangles Psychological Horror with Science Fiction, ties them together with a Christmas bow, and leaves one family bloodied and missing some fingers. 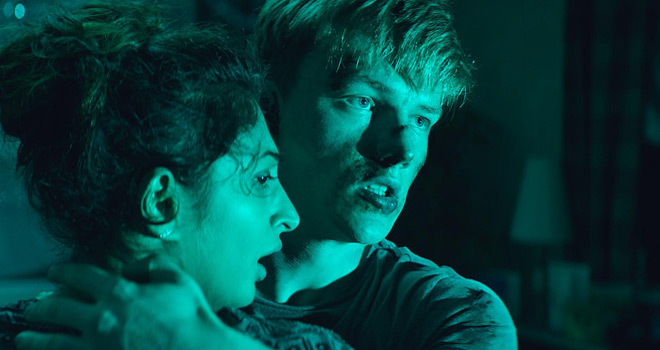 The important social issues raised by Await Further Instructions are endless, from racism and immigration debates to the dangers of blind obedience to the brainwashing effects of TV and social media. The discussions that arise from the film are endless, and for that, this is a movie that carries with it a heavy weight. 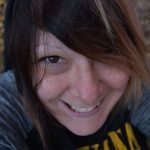 For anyone familiar with Milgram’s pivotal experiments in the 1960s, or the popular quote “The only thing necessary for the triumph of evil is for good men to do nothing” (which is attributed to Edmund Burke), there is a world of material for debate herein, and clearly writer Williams is a student of psychology and, likely, history. The downside to Await Further Instructions is its Sci-Fi elements, which are, by and large, poorly done. Thankfully, this does not affect the bulk of the film, and only really comes into play in the movie’s concluding scenes where things get a little zany. That said, it is much in thanks to the talents of lead actors Gittins (Nick) and Naik (Annji) that the finale never feels absolutely ridiculous or cheesy, but rather like a somewhat failed attempt to overemphasize the Sci-Fi angle of this story. In their roles, the pair are both wonderful. Gittins’ Nick is the ‘black sheep’ of the family, an estranged son who has gone off on his own to find love and pursue his career, only to return home out of a sense of obligation to his girlfriend, who wishes to meet the family. Naik steals the show as Annji, a classy, well-spoken, intelligent and independent young woman who never seems to struggle to tolerate the Milgram family’s abhorrent behavior: she questions, she tries to lead with her wisdom, but she never lashes out violently or with hate-filled words to express her point of view. She is the perfect foil to the entire Milgram family, minus Nick, of course. As the family’s de facto leader Tony, Masters is necessarily vile: a close-minded, arrogant father who, neglected by his own paternal figure, has passed those ills down to his own children. He is bitter and hateful, a man who would rather work out military strategy and listen to a television screen than to spend time with or, worse yet, listen to his own children. The picture of so many individuals walking this planet like brainwashed zombies, Tony is the glance into a mirror that many will sadly refuse to recognize. Similar is Bradley’s blatantly racist grandpa, who raises an all too familiar debate about terrorism and immigration. In fact, each of the Milgram family are, in the most basic sense, a representation of a varying degree of obedience, with poor Scott being the bottom of the barrel blind sheep. Ironically, the black sheep of the Milgram crew is the only one with a mind of his own! Await Further Instructions is one of those films that raises a bevy of important questions for debate, while still managing to author an enjoyably disturbing tale. The fact that this plethora of body horror and haunting psychology is set at Christmastime merely adds to the irony. Unfortunately, the true horror is in the already-proven reality of this situation, and the fact that many will merely view this as a bizarre little Sci-Fi/Horror offering. Here’s a hint, folks: it’s so much more! For these reasons, Cryptic Rock give Await Further Instructions 4 of 5 stars.